Mal Meninga, Daly Cherry-Evans and Josh McGuire. THE Kangaroos looked off the pace against the Kiwis, with Mal Meninga picking a side that was underdone and players that were out of position. Five members of Meninga's team, which is unchanged for Saturday's clash against Tonga, hadn't played a full game since round 25, which was six weeks before the Kiwis' clash. Meninga also only picked five players from the grand final and one of them Luke Keary only got the call-up after Cameron Munster's withdrawal. 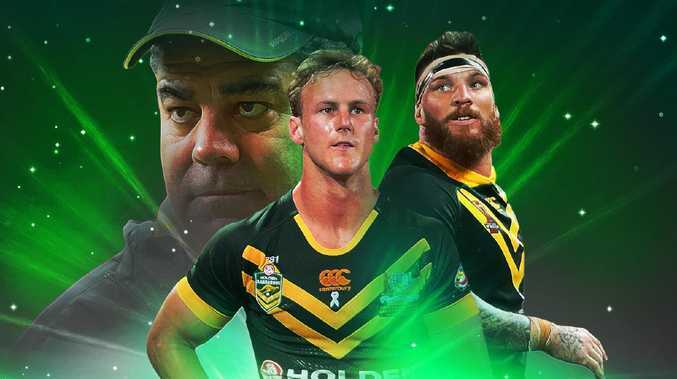 The argument could be made that Meninga should have chosen a more in form and match hardened team for the Kangaroos' first Test of the year and played players in their natural positions. Australia now face a strong Tongan team and are staring at back-to-back losses for the first time since 2015. Scroll down to see how Mal Meninga's team prepared for their clash against the Kiwis last weekend. One of the few Kangaroos to come into the Test season in form and match hardened, after starring in the Roosters' run to the grand final. Had more match practice than most after playing in the Rabbitohs' preliminary final exit, but he hadn't played on the wing since the Maroons' Origin series loss to the Blues. Another in form selection, Mitchell dominated the grand final win over the Storm and carried that form into the first Test against the Kiwis. Played fullback all year for Manly and wing for the Blues in Origin and was just coming back from a facial fracture, having not played since Round 25. Had a brilliant season at fullback for the Sharks, but struggled in his first game on the wing since the Origin series. Keary was an in form selection after coming off a Clive Churchill Medal winning performance in the grand final, but had his debut game cruelly cut short by concussion in the 17th minute. Had an up and down year for the second last Manly side and apart from the Australian Prime Minister's game, hadn't played since a Round 25 thrashing at the hands of the Broncos on September 2. Was the only Kangaroos' forward to run over 100 metres, but it was well below his season average and the PM's game aside, he hadn't played since the Bulldogs' Round 25 loss to the Sharks. Came into the game off the back of a starring season for the Rabbitohs and the Blues in 2018, but looked flat in attack, as the Kiwis targeted him in defence. The Cowboys' prop only played 10 games in an injury interrupted 2018 campaign and apart from the PM's game, had not played since North Queensland's Round 25 win over the Titans. The Kangaroos' skipper came in to the Kiwis' clash off the back of a starring role in the Roosters' premiership win over the Storm, but he was well below his best. The Storm grand final second-rower started despite averaging far less metres (84) than Tyson Frizell's (104) in 2018 and he struggled to match the Kiwis' forwards. 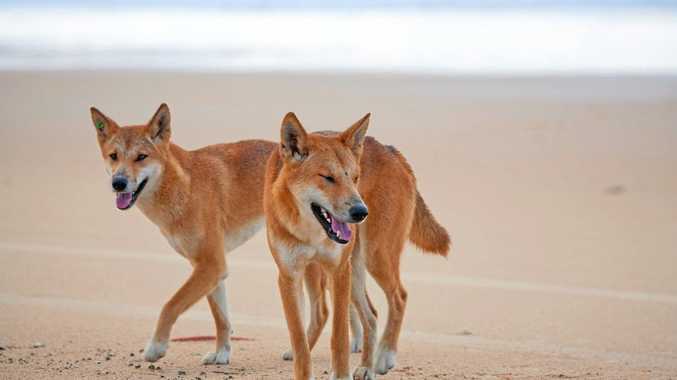 The Kangaroos' lock had not played since the Broncos' exit against the Dragons in the first week of the finals and looked off the pace against the Kiwis. Apart from the Prime Minster's game, the St George Illawarra halfback had not played since the Dragons' semi-final exit against the Rabbitohs and had not played off the bench since Origin III. With the exception of the Prime Minister's game, the Manly lock had not played since Manly's Round 25 loss to the Broncos and had not played off the bench since Origin. Aside from the PM's game, the Dragons' second-rower had not played since his club's semi-final exit at the hands of the Rabbitohs. Apart from a stint off the bench for the PM's team, Woods had not played representative footy since last year's World Cup final, after being overlooked for the Blues in 2018.